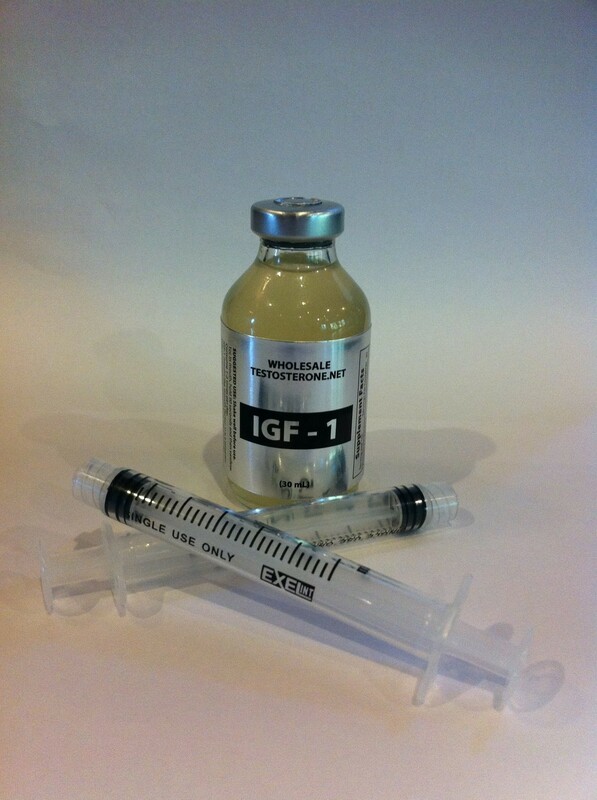 IGF Stands for insulin-like growth factor. Among the effects the most positive are increased amino acid transport to cells, increased glucose transport, increased protein synthesis, and decreased protein degradation. When IGF is active it behaves differently in different types of tissues. In muscle cells, proteins and associated cell components are stimulated. Protein synthesis is increased along with amino acid absorption. As a source of energy, IGF mobilizes fat for use as energy in adipose tissue. in lean tissue, IGF prevents insulin from transporting glucose across cell membranes. As a result, the cells have to switch to burning off fat as a source of energy. IGF-1 builds new muscle tissue by promoting nitrogen retention and protein synthesis. This causes the growth of muscles through both hyperplasia (which is an increase in number of muscle cells) and mitogenesis (which is the actual growth of new mushcle fibers). Thus IGF-1 not only makes muscle fibers bigger, it makes more of them as well.